In the Beginning: After the first nuclear test at the Trinity Site in New Mexico, the United States moved its nuclear weapons experimentation program to the Pacific. Security and logistical issues quickly illustrated the need for a continental test site. After consideration of many possible sites, an Atomic Energy Commission meeting on December 12, 1950, concluded that the Las Vegas Bombing and Gunnery Range in Nevada satisfied nearly all of the established criteria for a continental proving ground. As a result, President Harry Truman authorized a 680-square mile section of the Nellis Air Force Gunnery and Bombing Range in Southern Nevada as the Nevada Proving Grounds on December 18, 1950. In 1955, the name was changed to the Nevada Test Site (NTS). 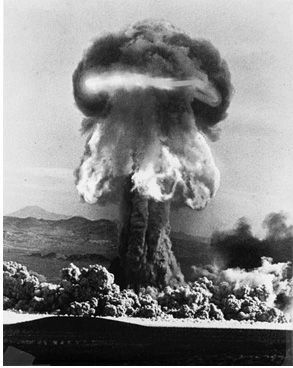 Atmospheric and Underground Testing: On January 27, 1951, the first atmospheric nuclear test was detonated at the NTS, code-named “Able.” A total of 100 atmospheric tests were conducted at the NTS until July 1962. All atmospheric testing was banned on August 5, 1963, when the Limited Test Ban Treaty was signed in Moscow, giving birth to the age of underground testing. The United States conducted 828 underground tests at the NTS. The last underground test, “Divider,” was conducted on September 23, 1992. The End of Nuclear Testing and the Start of Subcritical Experiments: After conducting 928 nuclear tests, full-scale nuclear testing came to an end in 1992 when the United States entered into the Comprehensive Nuclear Test Ban with Russia and France. In order for the United States to maintain the safety and reliability of its nuclear stockpile without conducting full-scale tests, subcritical experiments were initiated at the NTS. An experiment is considered subcritical if no critical mass is formed and no self-sustaining nuclear reaction occurs. Subcritical experiments occur more than 900 feet below ground at the U1a tunnel complex. From NTS to NNSS: In 2010, the name was changed to the NNSS to more accurately reflect the evolving mission of the site. Although the storied Nevada Test Site had a long history of supporting national security through full-scale atmospheric and underground nuclear testing, the last test occurred in 1992 following the signing of a nuclear weapons test ban treaty. Since that time, the nuclear weapons mission at the site has evolved to include subcritical experiments and other Stockpile Stewardship Programs designed to ensure the Nation’s remaining nuclear weapons remains safe, secure, and effective without full-scale nuclear testing. In addition, the emergence of global and homeland security threats has resulted in a further shift in the Site’s mission toward planning, experimentation and training to prevent and counter global and homeland security threats. Today, those activities comprise more than 50 percent of the site’s mission, providing ample justification for the name change. In 2000, the NNSA was created by Congress as a semi-autonomous agency within the Department of Energy, responsible for enhancing national security through the military application of nuclear energy. 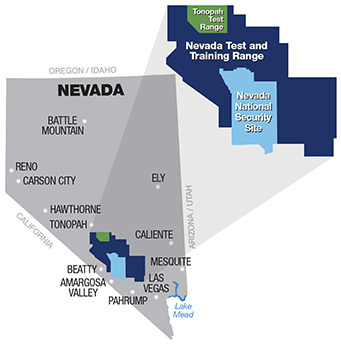 The Nevada Operations Office was renamed the NNSA Nevada Field Office as part of this change. NNSA maintains and enhances the safety, security, reliability, and performance of the U.S. nuclear weapons stockpile without nuclear testing, works to reduce global danger from weapons of mass destruction, provides the U.S. Navy with safe and effective nuclear propulsion, and responds to nuclear and radiological emergencies in the United States and abroad. For more information, please visit the NNSA website. MSTS is a limited liability company consisting of Honeywell International Inc., Jacobs Engineering Group Inc., and HII Nuclear, Inc. With some 2,400 employees, MSTS manages operations at the NNSS and at its related facilities and laboratories for the NNSA’s Nevada Field Office. The company has satellite offices in Los Alamos and Albuquerque, New Mexico; Santa Barbara and Livermore, California; Long Island, New York; and Washington, D.C., along with a small number of employees located in nine other states. SOC is a trusted global provider of mission solutions with a history of assuring safe and effective operations for U.S. government and commercial customers. leading corporations and governments around the world. For more information, please visit the SOC website. Navarro is a premier contractor providing high-quality technical services to DOE, NASA, and the Department of Defense. Navarro’s success is based on our customer service focus and our well-known responsiveness and innovation. In all we do, either in corporate management or in our services to our clients, we seek for the most effective and efficient approaches to provide the best value to our clients. For more information, please visit the Navarro website.